There’s no denying that the used car buying experience can be a bit stressful, and the endeavor is made even worse if you have absolutely no idea what to expect or how to proceed. If you ignorantly go into the process, there’s a good chance that you’ll end up with a subpar used car or a bad deal. Obviously, you don’t want to be in this situation. The first step of the used car-buying process should include extensive research. This won’t only help you zero in on a particular vehicle that fits all of your wants and needs. Rather, you’ll also get an idea of the vehicle’s used value. Customers can rely on an assortment of resources as they’re trying to determine the proper price of a used target. Kelley Blue Book should provide some useful insight, while eBay and Craigslist will also give you an idea of value. Of course, it’s important to remember that these values shouldn’t be treated as gospel. A used car’s value is also dependent on a particular vehicle’s mileage and condition, so make sure you’re accounting for this as you’re investigating a particular car. Of course, since you’re going to be pursuing a used car, your options will still be relatively limited. Unlike a new car, potential buyers won’t be able to pick and choose the attributes they’re seeking. Rather, they’ll have to settle for whatever is on a dealer’s lot. If you’re ultimately seeking certain amenities instead of any actual model, it’s a good idea to make a detailed list of any potential targets. This way, you won’t be backed into a corner when a dealership doesn’t have your desired vehicle. While you probably won’t be researching a specific vehicle’s history report right off the bat, it’s still a good idea to take advantage of this information once you’ve zeroed in on a potential vehicle. These reports will alert you to any previous accidents or mechanical issues, and you might even learn about odometer manipulation. These random problems could lead to drastic repairs down the road, meaning you’ll be dishing out even more money on your used car. Ultimately, these vehicle history reports are best used to help reinforce any inkling you may have about a specific used car. The test drive is arguably the most important step as you’re investigating a used target. After all, there’s no other logical way to determine whether that particular vehicle may be a proper fit. By actually getting behind the wheel, drivers will have a better idea of whether the vehicle’s operations and riding experience matches their desires. Of course, a test drive also allows potential drivers to monitor any potential issues that may be lingering under the hood. These issues obviously can’t be detected based on a simple look at the engine. Rather, a test drive will help reveal any odd noises or vibrations, which is certainly indicative of a larger problem. This might be even more important than determining whether the vehicle is a proper fit, as a buyer surely doesn’t want to be stuck with a lemon. Your self-inspection isn’t over once the test drive has finished. One of the most serious issues that can be detected is any leakage coming from the car. This might not be clear when the vehicle is sitting inactive on a car lot. However, following a drive around the block, a faulty vehicle will begin dripping fluids. A simple look under the car should indicate whether this is an issue. The color of the liquid will clue you into the specific target area, whether it is black (oil), green (anti-freeze), or pink (transmission). The quality of a used vehicle is certainly something that buyers should be keeping their eyes on. For starters, an interior or exterior that hasn’t been taken care of would be a clear indication of an inattentive and uncaring former owner. In these cases, we’re convinced that a dirty cabin would be the least of your worries. Furthermore, the interior and exterior aesthetics could also reveal any hidden issues that may be lingering under the surface. For instance, inconsistent upholstery materials could indicate that a vehicle has sustained water damage, an issue that is particularly hard to overcome (but particularly easy to cover up). Rusted or worn-out parts are obvious indications of a compromised vehicle, while random dents or scratches could be signs of a previous accident. Unless you’re an automotive expert, there’s little chance that you’ll be able to identify any mechanical issues that may be hiding under the surface. As a result, it’s best to leave these specific inspections to a professional. 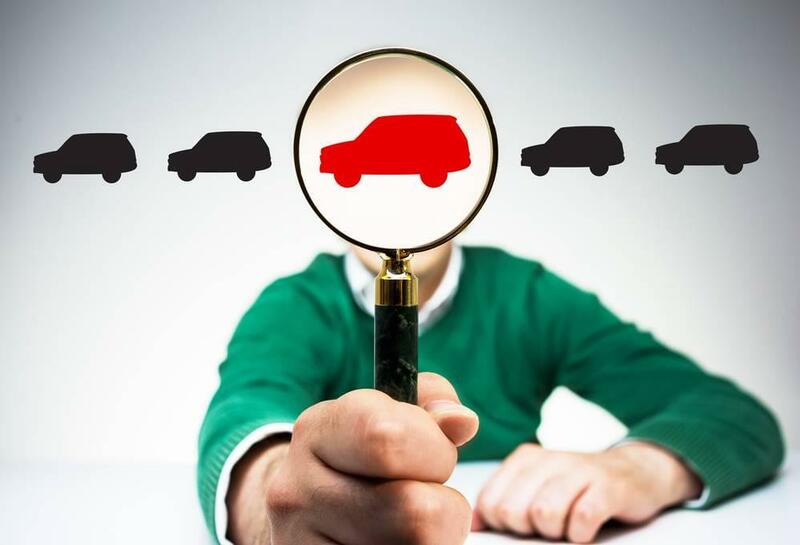 Most used car sellers will allow you to a get a second professional opinion on a targeted vehicle, and these alternative technicians should provide some insight into any problems that the seller may be hiding. This may be the most important part of the entire used car buying process. Customers obviously don’t want to settle for a bad deal, but they should also be keeping an eye on their budget. These customers risk going overboard, and you’ll be in a financial predicament if you ultimately learn that you can’t afford your monthly car payments. Therefore, it’s important to set a spending ceiling before you begin negotiations with a seller. It’s important to maintain some flexibility, and it’s beneficial to assign different values to different targets. When you’re making your initial offer, the value should obviously be much lower than your cap, and you can rely on any of the previously-mentioned resources to determine how low the seller may be willing to go. What are you waiting for? Go out and try this newfound wisdom as you’re searching for used cars in Albany, New York. Of course, there’s no better dealership to execute your game plan than DePaula Chevy!